Authorized February 4, 1919, the Navy Cross was the Navy's 3rd highest award for combat heroism and other distinguished services. 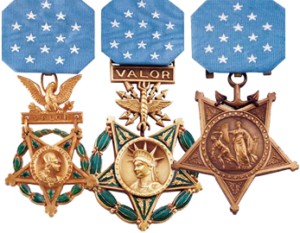 On August 7, 1942 Congress made the Navy Cross a COMBAT ONLY decoration with precedence over the Distinguished Service Medal, making it the Navy's 2nd highest award ranking below only the Medal of Honor. 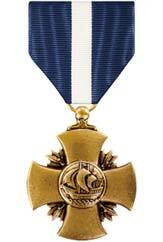 It shares its position with the Army's Distinguished Service Cross and the Air Force Cross.